It's been a long road for Octavius, but now he's finally home. 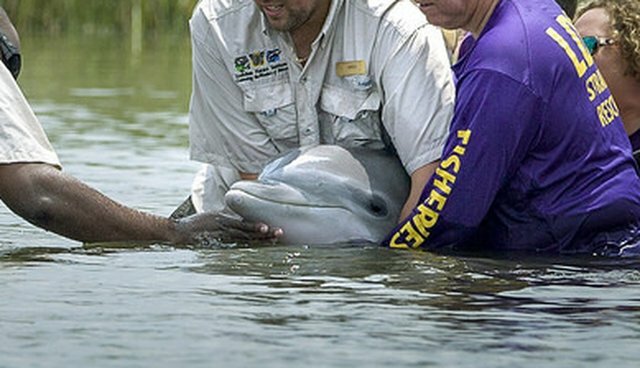 Six months after being found stranded and on the verge of death along the coast of Louisiana, the young dolphin is once again swimming free back in the wild where he belongs - a remarkable testament to his determination to survive, and to the dedication of all those who helped him along the way. Octavius's story began last October, when he was discovered by Louisiana Department of Wildlife and Fisheries (LDWF) after having washed up onto the shore. Initially, rescuers carried him back into the surf, but he was too exhausted to swim away. Rather than giving up on him, the rescuers redoubled their efforts. 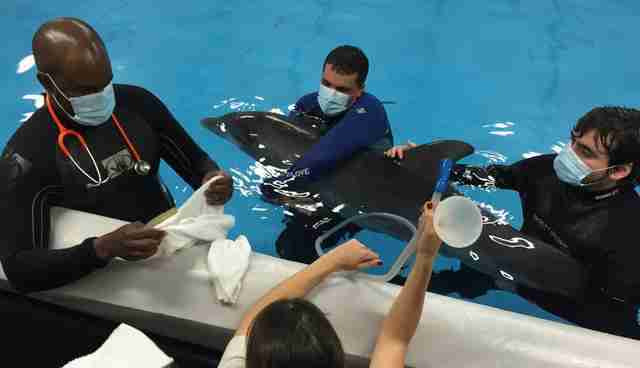 The dolphin was transported from the beach to a rehabilitation center run by the Audubon Nature Institute where, over the months, he underwent treatment to regain his health. Still, it wasn't clear at first if he would ever be able to lead a normal life in the wild again. Fortunately though, Octavius ultimately passed evaluations determining he could indeed be released. This week, that day finally came. 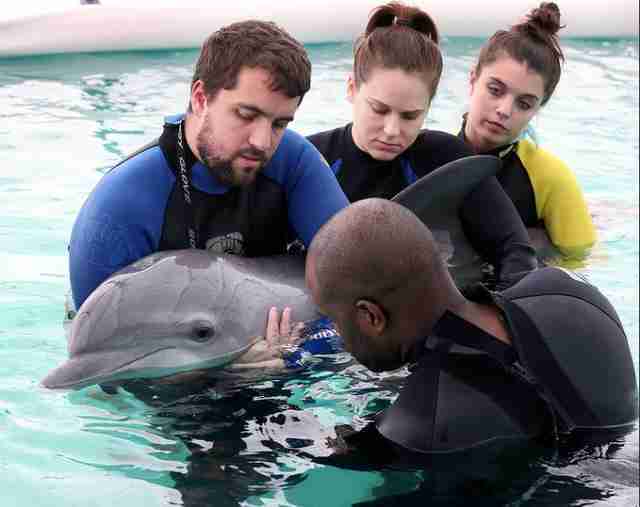 On Thursday, staff from the Audubon Nature Institute, LDWF, NOAA's National Marine Fisheries Service and the Chicago Zoological Society's Sarasota Dolphin Research Program returned Octavius to the Louisiana coast - then they set him free. He's the first dolphin to be rescued, rehabilitated and released back into the wild in the state's history. Watch footage of Octavius successfully being released. With any luck, this dolphin will go on to thrive in the wild, carrying with him the legacy of all those who contributed to his second chance at a healthy life. "While this animal is not completely out of the woods, this is a remarkable story demonstrating the success of our strong partnership with Audubon Nature Institute, working together to preserve this species for future generations," LDWF secretary Charlie Melancon said in a statement. 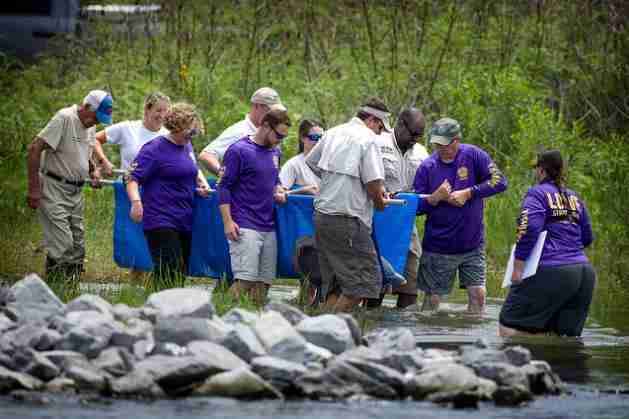 "We are happy to be able to return this animal to the wild in its natural environment today."